Course Website: Official Website - Visit Concession Golf Club's official website by clicking on the link provided. 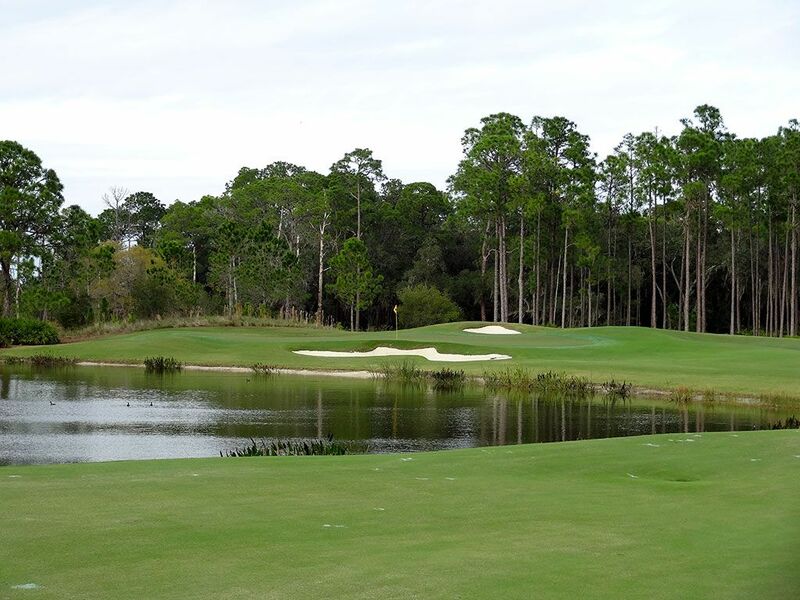 Accolades: Ranked 7th in Florida on Golf Course Gurus' Best in State list. What to Expect: The Concession Club gets its name from the famous concession Jack Nicklaus offered Tony Jacklin on the 18th hole of the heated 1969 Ryder Cup. The putt, which Nicklaus knew would conclude the event in a tie, delivered a sportsmanship peace offering while at the same time allowing the United States to retain the cup. 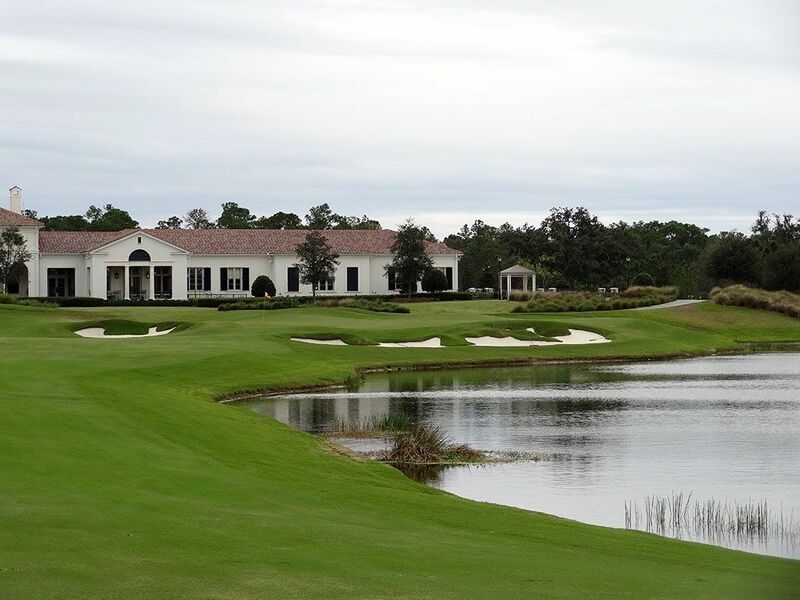 35 years later Nicklaus and Jacklin teamed up to deliver the Tampa area one of the finest layouts in the state. 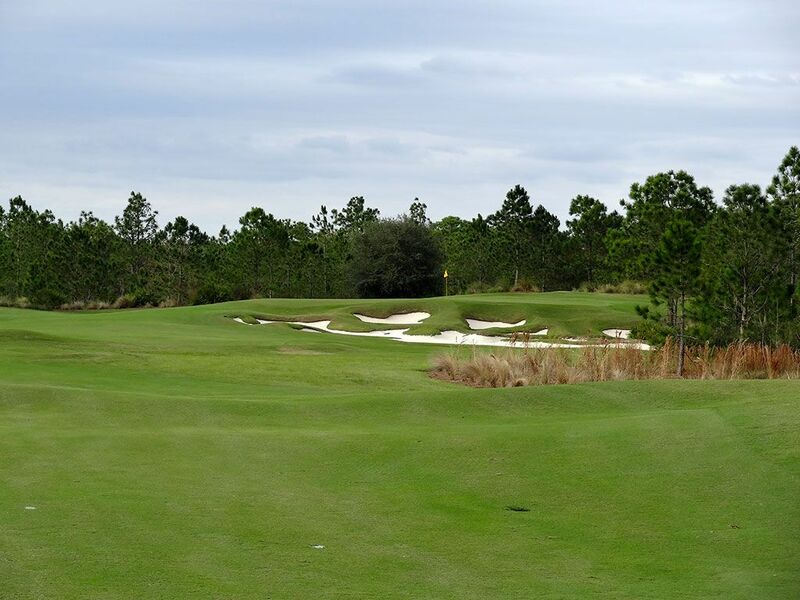 As you might expect in Florida, water comes into play on several of the holes and bunkers are plentiful which along the stout yardage gives Concession the maximum 155 slope from the tips. The further back you play the less you'll be able to see of the driving zones as the natural growing foliage can block some of your view and make drives look more intimidating then they really are. The inland setting feels welcomingly remote with the course laid out over 520 acres among the towering pines and majestic oaks. 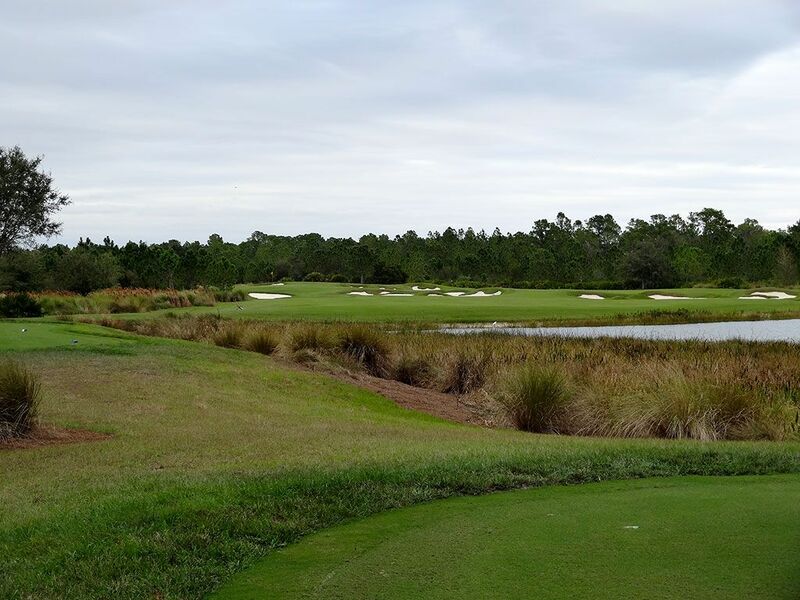 There is a lot to like at Concession from the well designed holes (particularly the par 5s), to the fabulous conditions, to the stellar service staff members and forecaddies provide. 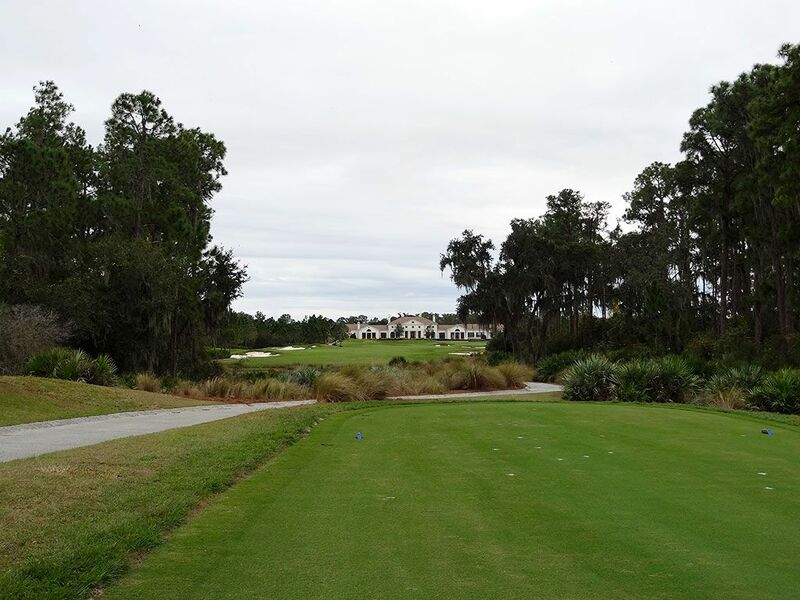 In a state chuck full of golf courses, Concession stands among the elite in Florida and is arguably Nicklaus' finest work in the Sunshine State. Signature Hole: 8th Hole – 374 Yard Par 4 – This was the consensus favorite hole of the guys I played with during my day at Concession and anyone I've communicated with subsequently. This well designed short par four features a late dogleg to the right and a water feature that carves in front of the green. The narrow opening to the putting surface puts a demand on the approach shot that is magnified by the fact that balls landing on the right half of the green has as high of a chance of filtering down to the water as it does staying on the short grass. 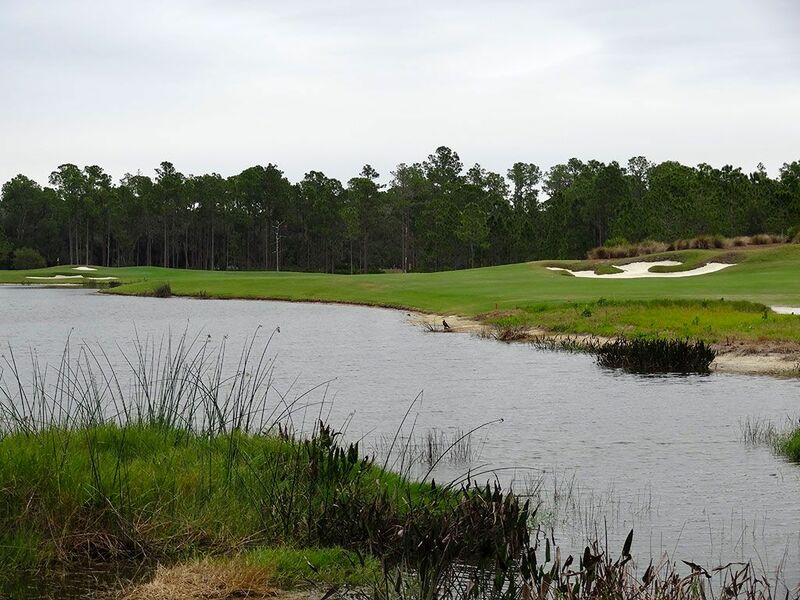 Players bailing out to the left will likely find the greenside bunker and be faced with the most difficult shot on the course; a downhill bunker shot to a narrow green sloping to the water. 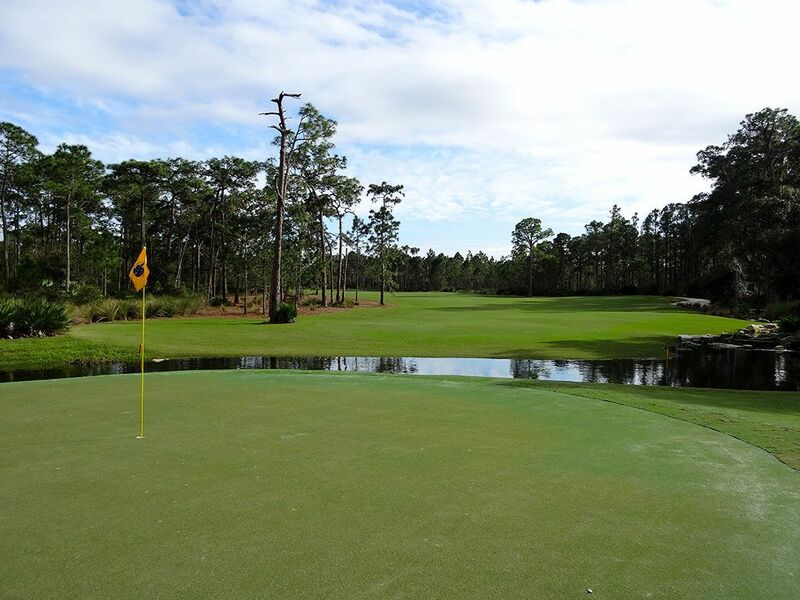 It is an attractive hole with a great balance of risk/reward for a par four of this length. Best Par 3: 4th Hole – 237 Yards – If the greens and par 5s are the strongest features at Concession, the par 3s may be the weakest. While the par 3s aren't poor, they just aren't as impressive as other features at the course and have similar looks. That being said, the 4th hole is a solid offering to a large green with a bunker complex fronting the putting surface and bunkering in the rear. The bailout area is to the right where a large chipping area is offered if challenging the pin from this distance isn't in your game. 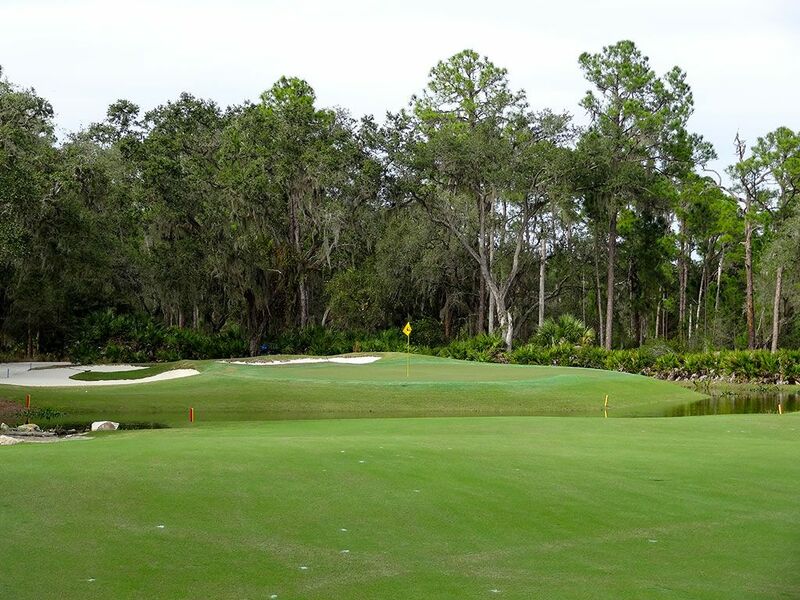 The undulations in the green bring excellent creativity and challenge for your short game. Best Par 4: 5th Hole – 478 Yards – An excellent two-shotter that gives players a risk/reward opportunity off the tee. Water runs up the left side from tee to green as the hole capes around the hazard and offers players a decision of how much to cut off. 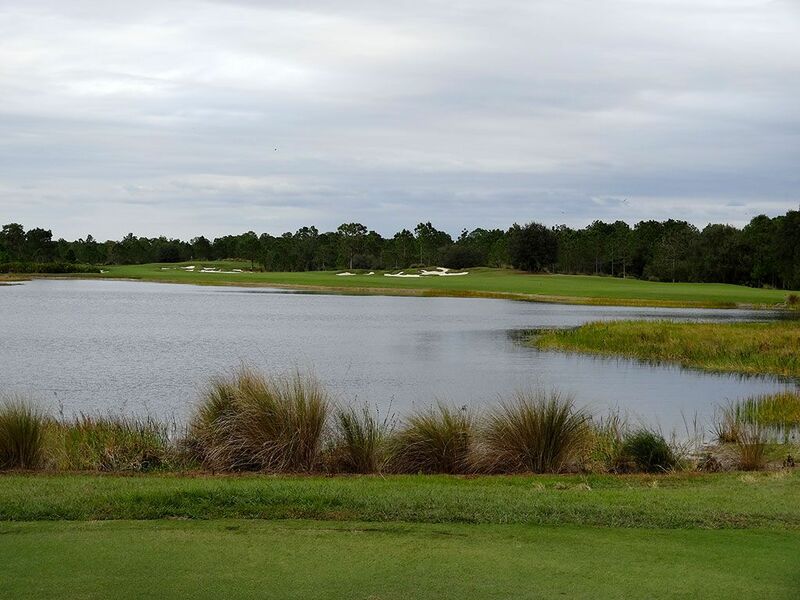 If you are willing to challenge the water and successfully bomb one up the left side, your ball can catch the down slope in the fairway and chase to a distance that leaves you an opportunity to go pin seeking. 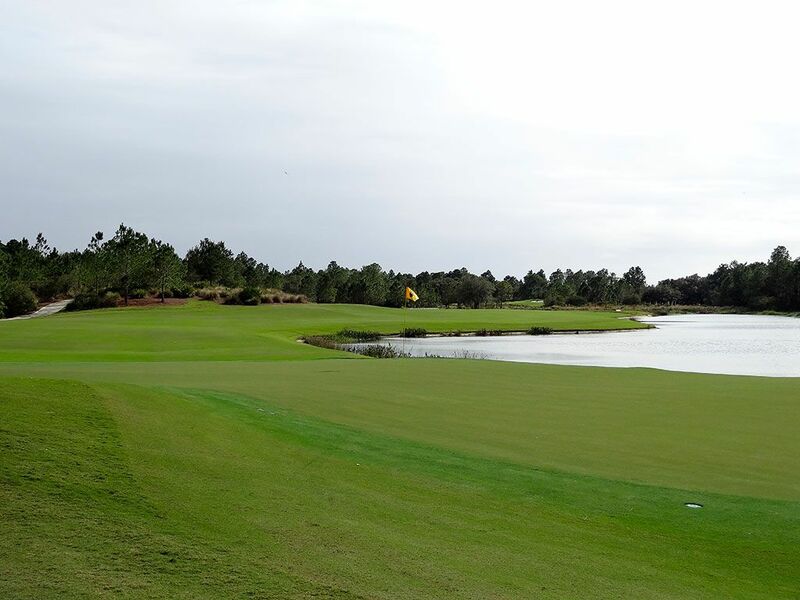 Bailing out to the right towards the large bunker on the far side of the fairway will leave you over 200 yards to the green with an opening in the putting surface that calls for a draw that is subtle enough that it doesn't bring the water into play. The 5th is one of the strongest holes at Concession and a well-executed design. Best Par 5: 13th Hole – 545 Yards – Each of the par 5s are very strong at Concession and an absolute joy to play each time around the course which made it difficult deciding which one to feature here. However, the risk/reward 13th edges out the others in terms of options and creativity let alone flat out beauty. A large water feature must be carried off the tee as players decide how aggressive to be with their drive. Going left of the large aiming bunker complex on the far side of the fairway produces the best chance of reaching the green in two while staying right of the bunkers will force players to layup. The hole starts off by curving around the water before doglegging back to the right away from the hazard. The approach shot is one of the most demanding and creative shots on the course with an expansive bunker complex in front of the green and a 15 foot drop off to a chipping area left of the green. Finding your ball in the chipping area will likely be painful for your score but entertaining from a challenge perspective that players rarely face. So many different things can happen at a hole like this that it becomes the most anticipated experience on the back nine. Birdie Time: 12th Hole – 349 Yard Par 4 – Though there are several bunkers to contend with and trouble up the left side, the short par four 12th hole presents a great opportunity to card a birdie. There is tons of room to miss your target to the right and with a tailwind you may just find yourself taking a rip at the green. 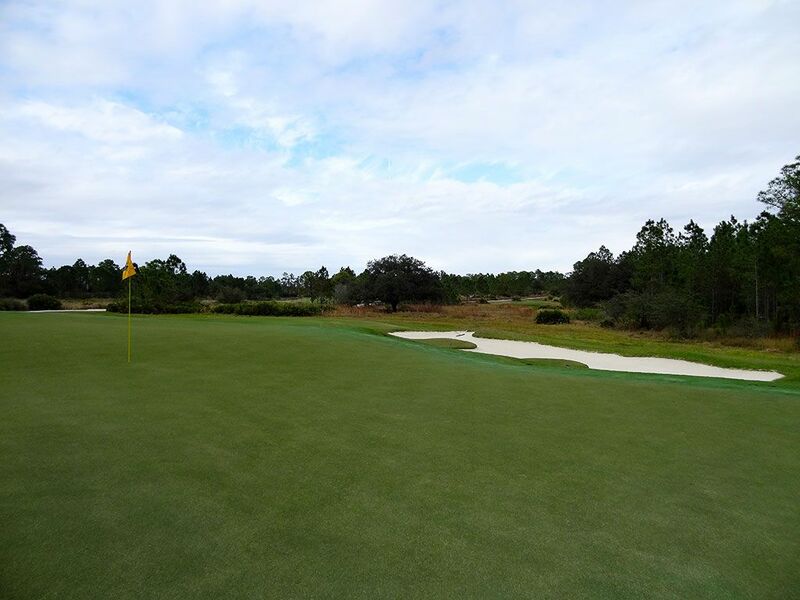 Even a conservative layup will leave you with a wedge or short iron into one of the less intimidating green on the course, so feel free to go pin seeking and knock down your birdie putt. Bogey Beware: 18th Hole – 486 Yard Par 4 – Concession's finisher is a healthy test that has the ability to quickly derail the end of your round. The tee shot calls for a straight drive through the tree lined opening to a well-bunkered fairway. The fairway then banks to the right around a pond to an undulated green that is protected by bunkers across the majority of the green frontage. With a head wind being a common occurrence to contend with, a par on Nicklaus' finisher is an impressive feat.